Below is a sample of some of the pages and layout of the Price Guide. You can click on the images to view the full page. The majority of the book is composed of pages like the one shown in part below. The pages are organized by CD number, Primary Embossing, Specific Embossing and color. 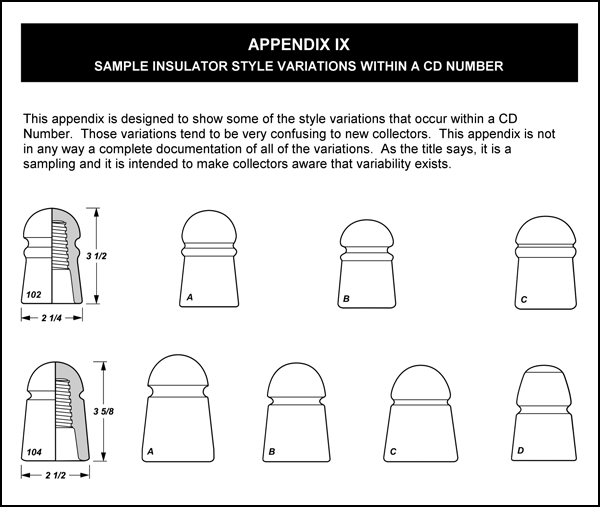 For easy reference, a cross section scale drawing is included on each page for the relevant CDs shown there. The price guide also contains a number of useful appendices. The first one, shown in part below, contains all the CD drawings at 1/4 scale in one place. This is useful to locate your insulator by it's shape. 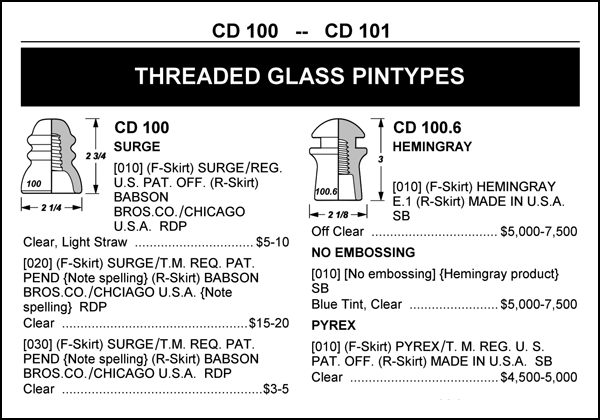 The Price Guide includes an appendix that shows variations within a given CD number. Since CD stands for "Consolidated Design" there are similar shapes that are all classified as the same CD. 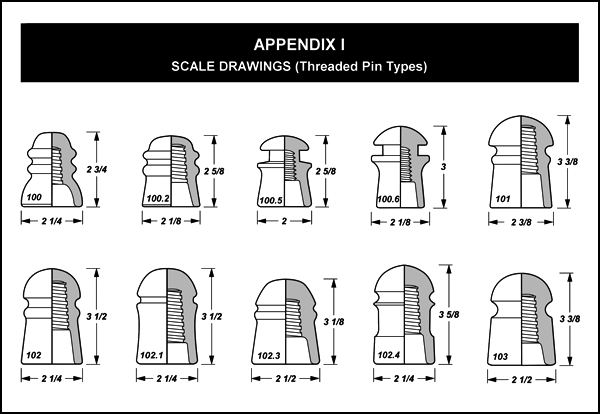 This appendix shows some of those variations.